Even though we call it a "simple life", getting started can appear anything by simple. Especially if you watch too much Gardening Australia or other DIY programs, everything they do seems to involve lots of expensive inputs, like bags and bags of palletised manures and bales of lucerne hay instead of trying to find simple, cheap and local solutions. And cooking shows are just as bad! There are lots of ways to start living a simple life and the path you chose will depend on your priorities and abilities. I've been thinking about some good (easy and cheap) places to start, based on my own experiences. I'm going to start with - Growing your own food. You could just as easily ask "why do we sell eggs?" or "what came first, the chicken or the egg?". First we had some chickens, and they laid eggs and we ate eggs every day, but then winter came and we had chickens, but not always eggs. So we realised that if we wanted to eat eggs every day in winter we would need more chickens, and we bought and hatched more chickens. And now we have too many eggs in spring and summer. So we sell the eggs. You can barely read a blog these days without coming across information about essential oils. If anyone has somehow managed to miss the essential oil buzz, it seems to be generated by two companies that produce essential oils and sell via Multi Level Marketing schemes (i.e. pyramid schemes) in which people can earn money by selling essential oils through these companies. Hence all the hype on blogs about how to use (and buy) essential oils. A few weeks ago ABC's farming program, Landline, featured a segment on "a fruit and vegetable wholesaler in Adelaide [who] has made it her mission to provide top chefs with produce to really make a plate pop". It was quite hilarious to see chefs rave on about mini heirloom veges, unusual salad greens and fancy herbs, because that's about all I can grow in my own garden! There's not much that I grow that makes it past miniature, apart from the greens and the herbs that grow like weeds. When I cooked dinner with some tiny thinned carrots, kale and chopped chervil, I told Pete it was "fine dining" and that my garden is a success after all! The last few weeks I've been asking bloggers to tell me more about their ducks. Kim from Oasis Biodynamic Farm volunteered and I'm please to share her story with you today. Since I've got more confident with knitting, I've been thinking I should learn to crochet too. I did make a couple of finger crocheted rag rugged after a lady at our local permaculture group gave me a quick lesson, but I had not yet mastered the crochet hook. I had the basic idea though, from all the finger crochet, so I really just had to sit down with some wool and a hook and one of my many crochet books and figure it out. I was surprised to find out that there is actually a genus Nasturtium which includes cress, but not the plant I know as nasturtium! Apparently the common name nasturtium for the plant Tropaeolum Majus is due to the herb tasting like plants in the Nasturtium genus. Another example of why its so important to check botanical names. How to grow nasturtium Nasturtium can be grown from seed, cuttings or root division, although I've only ever used seeds. It does tend to spread under the right conditions, so make sure you plant it in the right spot. I find it doesn't like our hot dry summers, so it never takes over my garden. However, if I can get it to survive through summer, it is a perennial in my sub-tropical climate. It is usually considered an annual in colder climates as it doesn't tolerate frost well. 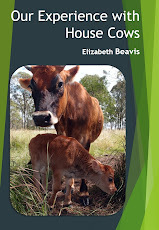 Read about our house cow story over on my house cow eBook blog. If you want to grow your own veges on the cheap, one of the easiest ways to save money is to save seeds. I've written a few posts about seed saving and growing from seeds, see them here. 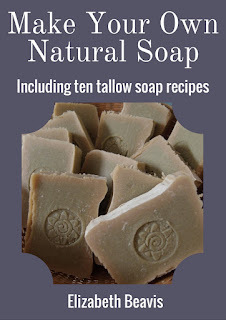 This month I'm trying something new and joining many other bloggers with the Slow Living Monthly Nine, started by Christine at Slow Living Essentials and currently hosted by Linda at Greenhaven. Its been interesting to try to write under each of the nine categories, I think it will get easier each month! Nourish We have been using up the beef in our freezer to prepare for our next butcher day coming up in mid-September. This month Pete suggested that we try making jerky. We used a kit and made it in our dehydrator from the last of our rump steak. It came out really nice and I ate most of it. Now I'm looking forward to having more rump and trying some new recipes! Prepare Preparing for butcher day involves digging a hole for the waste, making sure we have enough plastic freezer bags (to bag 300 kg of meat), cleaning out the freezer, and often buying some new equipment. This year Pete spotted a heavy duty mincer on special, and here it is, ready for mincing. I wanted to know more about ducks, so I've interviewed a few other bloggers who keep ducks. A couple of weeks ago we heard from Megan, and today I have an interview with Tracy from Sunny Corner Farm. Tracy: My garden and farm is situated in a very pleasant valley outside of Tamworth, NSW. We have lived here for over 15 years but my heart has been in the area much longer as it is where many of my forebears are from. The climate ranges from hot, dry summers with temperatures reaching into the mid-40s to very cool winters with snow occasionally and frosts often. The garden is quite substantial but I always have ways of extended it in mind. I have an orchard of over 60 fruit trees too. My blog is what I call a no-niche blog, a little bit of everything about our life on a small-holding. The good and the bad. The first ‘livestock’ we kept were a couple of bantam chickens back when we lived in the suburbs of Sydney. We had some rain in August! This is very unusual, our long term average rainfall for August is 28.7 mm, although it has varied between 0.8 and 106 mm. We never know what we are going to get, but usually we don't expect much in August. This year we got about about 40mm, which was very welcome considering that year to date rainfall is about 100 mm below average for this time of year. September also ranges 1 to 140 mm, with an average of 40 mm, so maybe it will rain this month too. The result of all this rain is that the garden has recovered and produced lots of green veges, including various asian greens, silverbeet and celery, as well as plenty of parsley, chervil and coriander. Also mint, calendula, lavender, borage and nasturtiums are growing well.